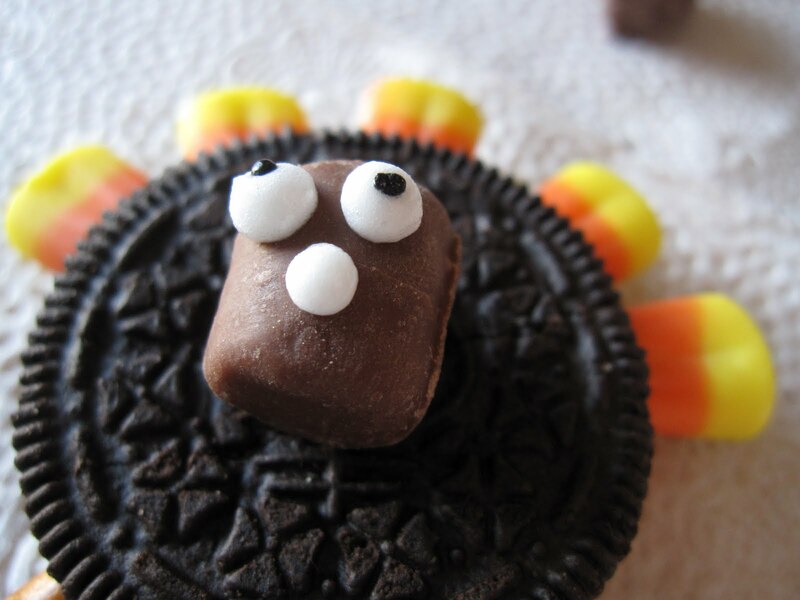 These simple Oreo Turkeys are such an easy treat for Thanksgiving! Here’s a fun one for you and the kids to do together. 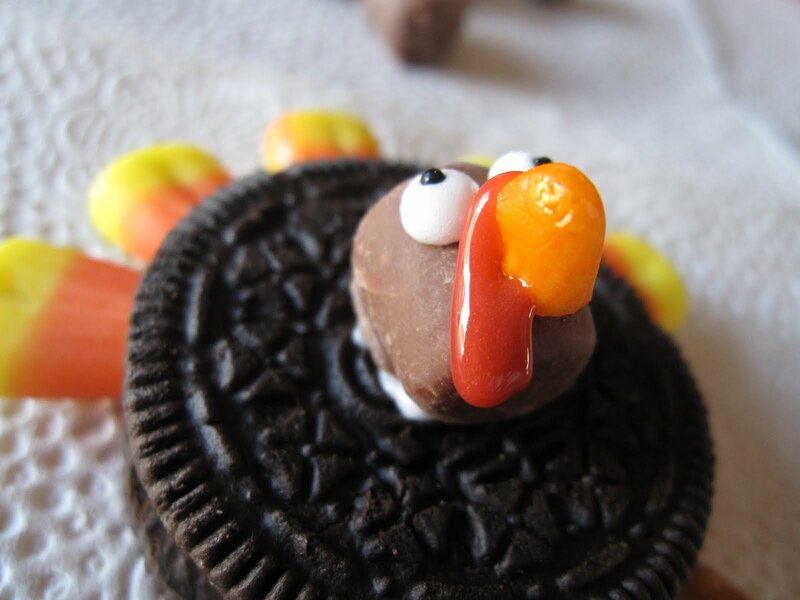 Oreo Turkeys. I have been procrastinating on laundry BIG TIME, so what to do when you have a pile the size of Vesuvius downstairs? Well, in my house the answer is make cookies. Wait, that’s NOT what you do? Oh, yeah, uh…me neither…I was just kidding about the laundry thing, I’m, uhhh, totally on top of housework. Anyway, since I am “all caught up on laundry” I decided to mess around and make some cute turkeys. I thought these would be super cute for kids to take to school to share with their friends the day before Thanksgiving, or as a cute addition to your cookie tray on the big day. 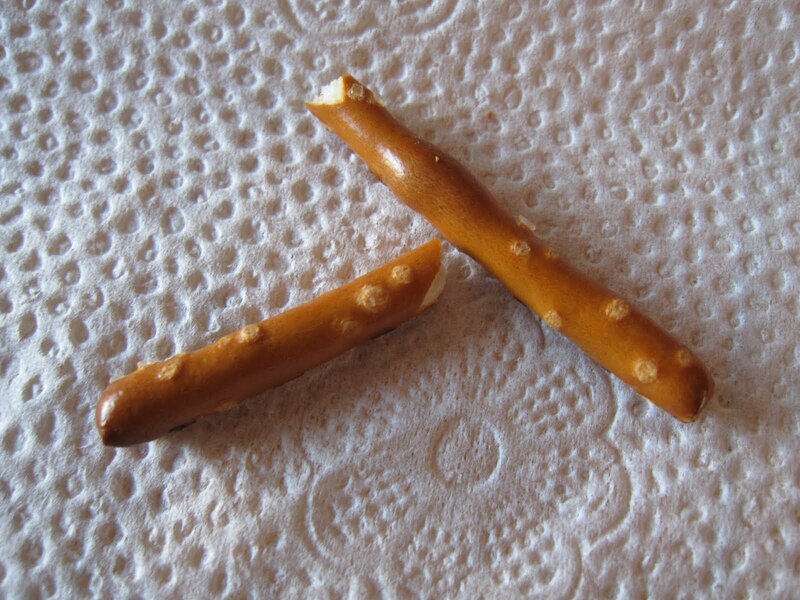 Either way, they are fun to make and even more fun to eat. 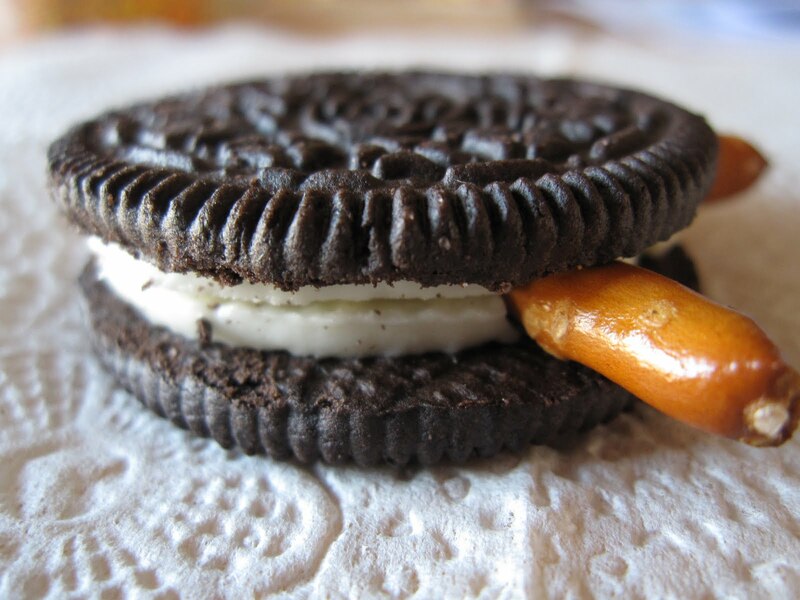 Oreos – preferably Double Stuff, but since I didn’t have those in my pantry I got creative ~ I twisted a top off of 2 Oreos and then mashed them together, I call it the redneck Double Stuff. Yee Haw! 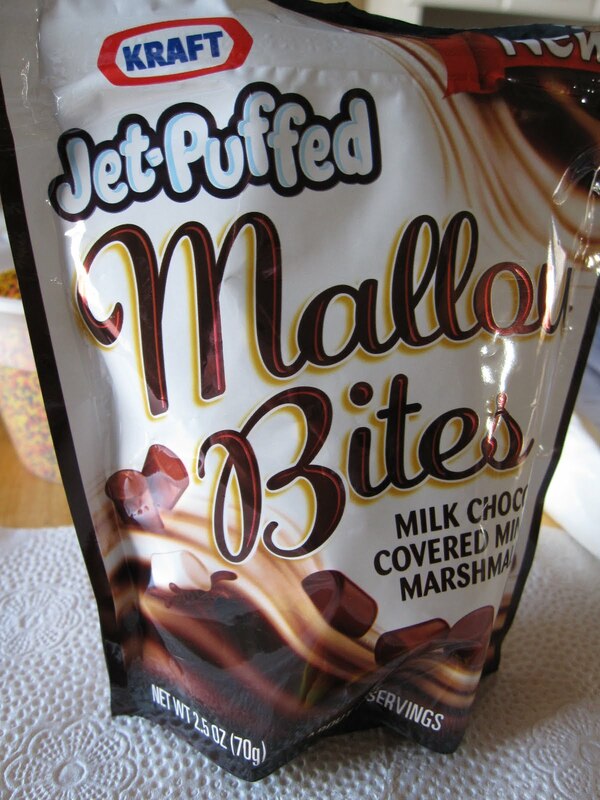 These cool new things I found – chocolate covered marshmallows by Jet Puffed, have you seen them? 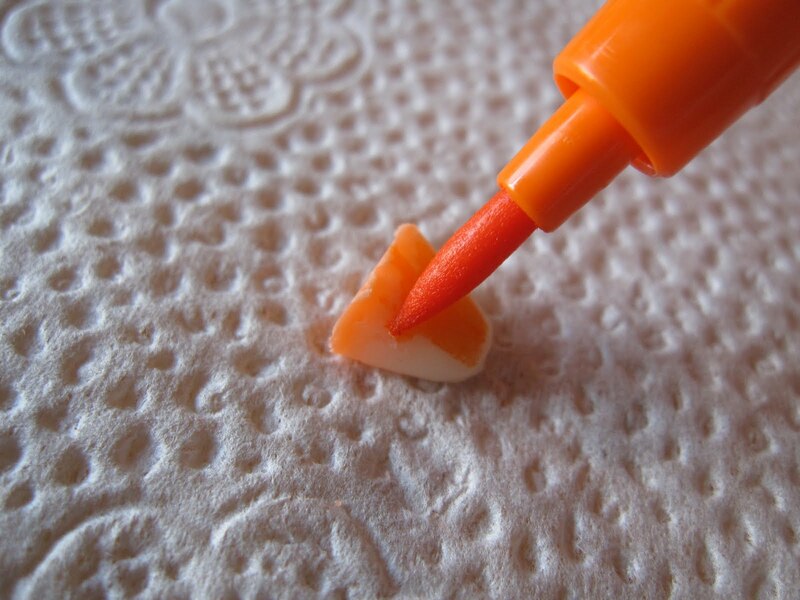 An orange food coloring marker, if you have…if not, no biggie. 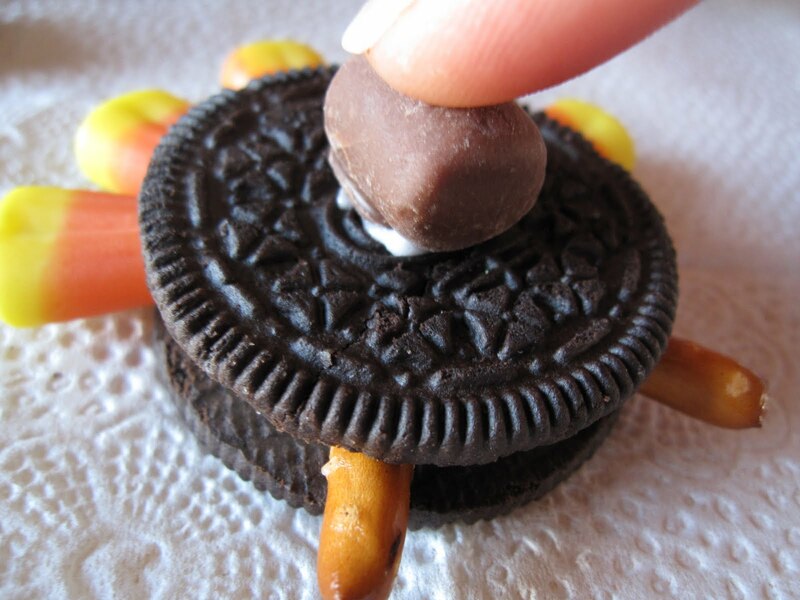 Here’s the process… Take your Double Stuff..or mock-double stuff and break your pretzel sticks into small pieces, about an inch, and push them gently into the bottom of the Oreo, like legs. 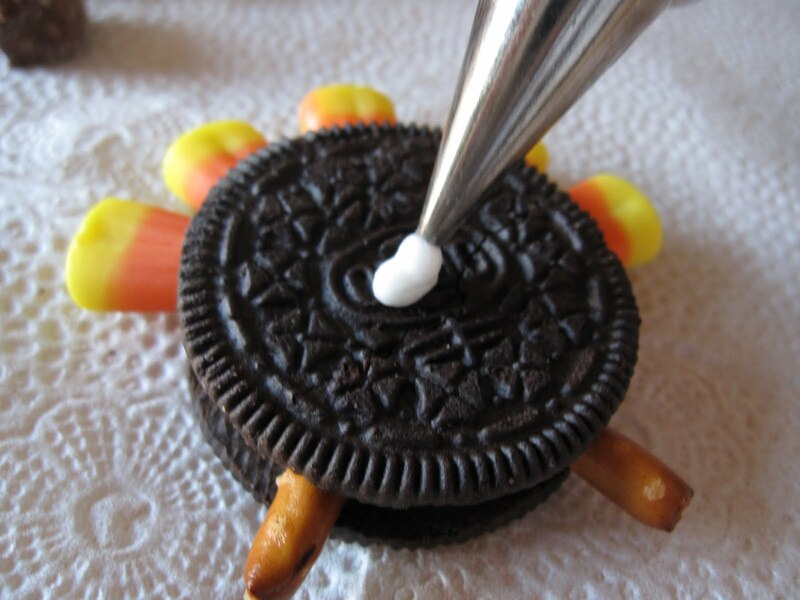 Do these steps carefully, so you don’t break your Oreo cookie…if you do, no worries, just reattach it. 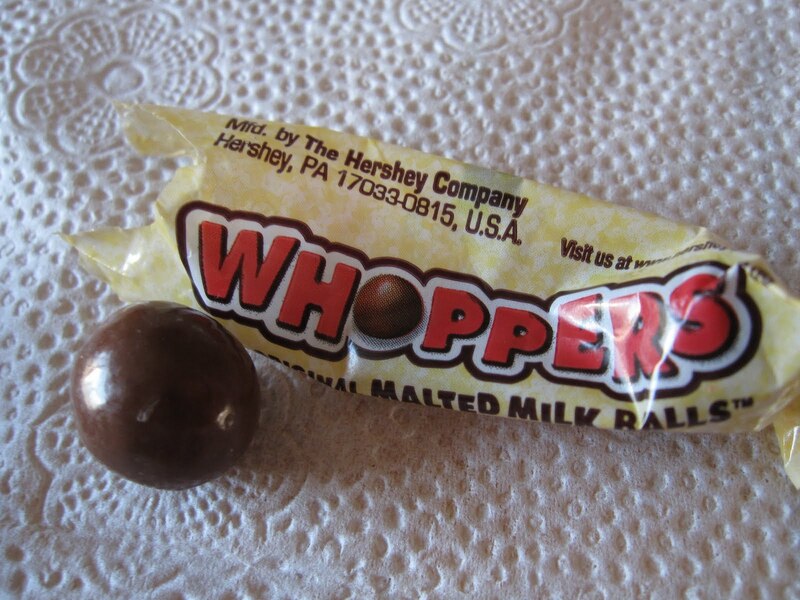 Press your chocolate marshmallow, or Whopper on to this. Now you have a head! 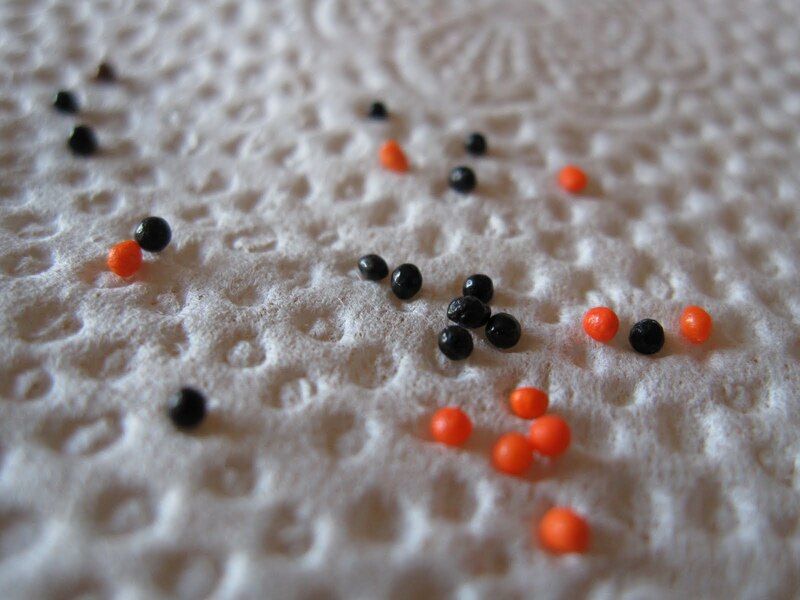 Then dot on some white icing for eyes and then use your gel or sprinkle to give your eye a black center. Then squeeze a little icing on to attach the beak. 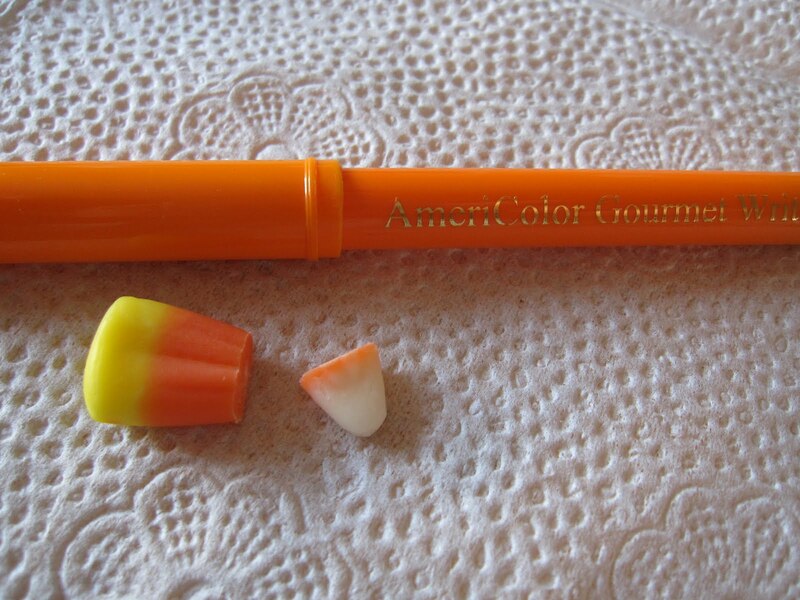 For the beak, I cut off the top (white) part of a candy corn and colored it orange with the food marker. 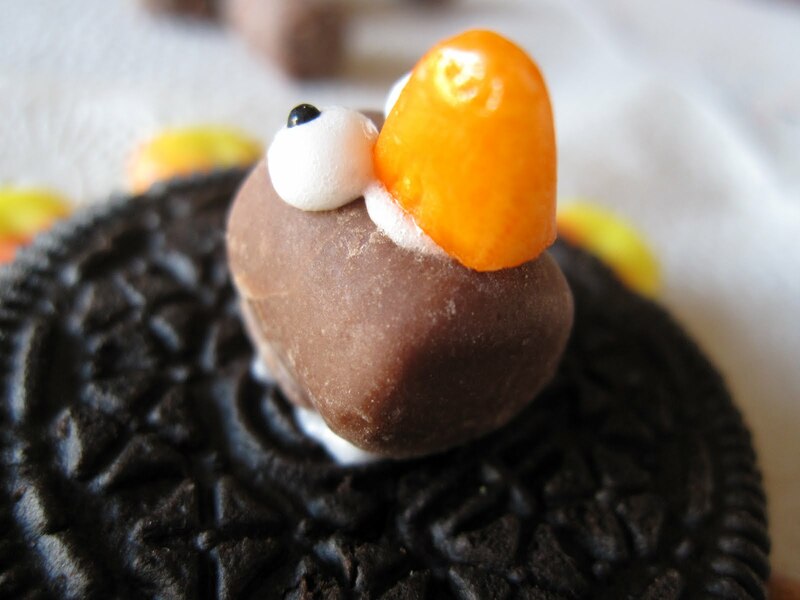 If you don’t have a food marker, either use another type of orange candy or leave his beak white, I think that would be cute too. Let it dry, so the head doesn’t fall off and you’re done. But what could make it cuter? Put it on a stick! Cause everything is cuter on a stick, right?! You're insane! Those are super cute and wow, the detail. I could do one but that's it. No patience! Btw, you're right, they're even cuter on sticks! So cute!! So creative! Loved it!! I am dying here, this is AWESOME! you are headed to martha Stewart any time. I love your idea. Can I borrow it? I want to make this for Cami's friends are her day care. So darn cute, and yes! they're even cuter on a stick. Why is that? These would be cute little favors. great idea. Oh, I think I'm going to HAVE to make these next week. 🙂 Thanks for the darling idea!!! Oh, the cuteness!! Love these, especially the little beak, hehe! What a GREAT idea! My 5 yr old daughter always always wants to help with whatever I am doing, these will be perfect to keep her busy! What a great blog! These are so awesome! I LOOOOVE how his eyes look 'googly'!!! 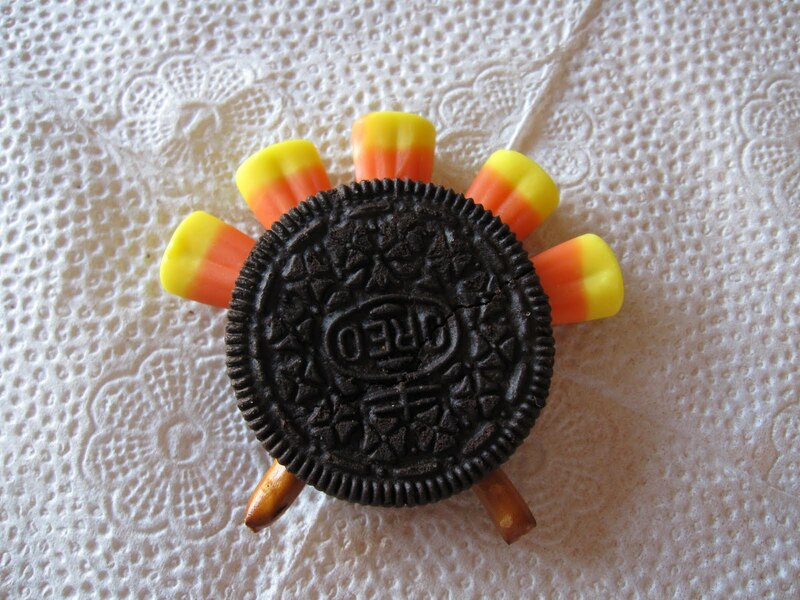 I think I'll make these for favors on my Thanksgiving guests' plates! Thanks! So very cute, great idea and you made it so simple for us, thanks!! Now I need to find those mallow bites! These are beyond adorable!!! SO cute! 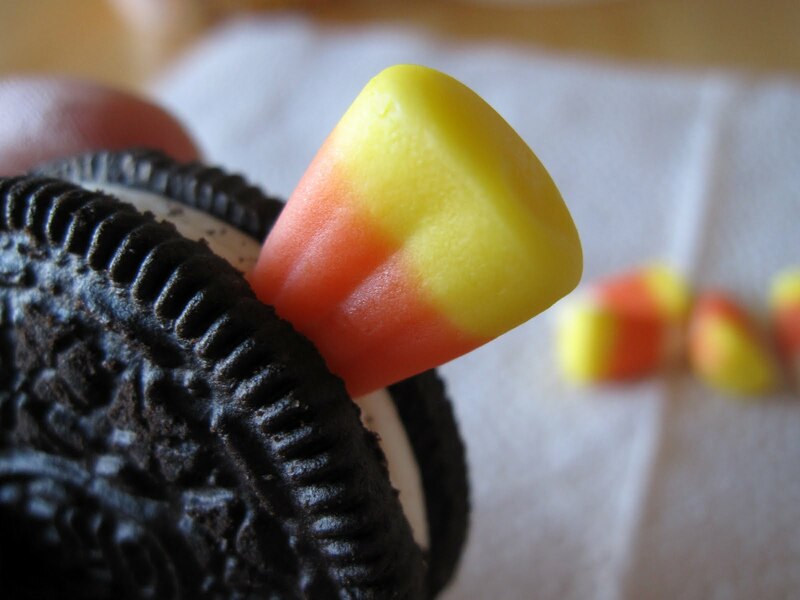 Those are the cutest little Oreos EVER! I love it! these are pretty fabulous. I love how few ingredients you use. You are crazy talented girl. When i read your post way back out the 5,000,000 cookies you made in the kitchen with ONE oven and decorated them all and didnt sleep for one week (I think I am accurate in my details right?) I was BLOWN away. WOW! As someone who has made 200 cookies once (and decorated them all) I am just in AWE of your skillz!! You are my cookie hero! haha! This is so cute!! Thanks for the nice comment! I actually first heard of the word on a cartoon ("Chowder") of all places haha. Have a great Sunday! Those are adorable! I can't wait to try them out. These are so cute, and very creative! Awww those are so cute!! Happy Thanksgiving! New follower here, saw your picture on Be Different, Act Normal! Sooo cute! 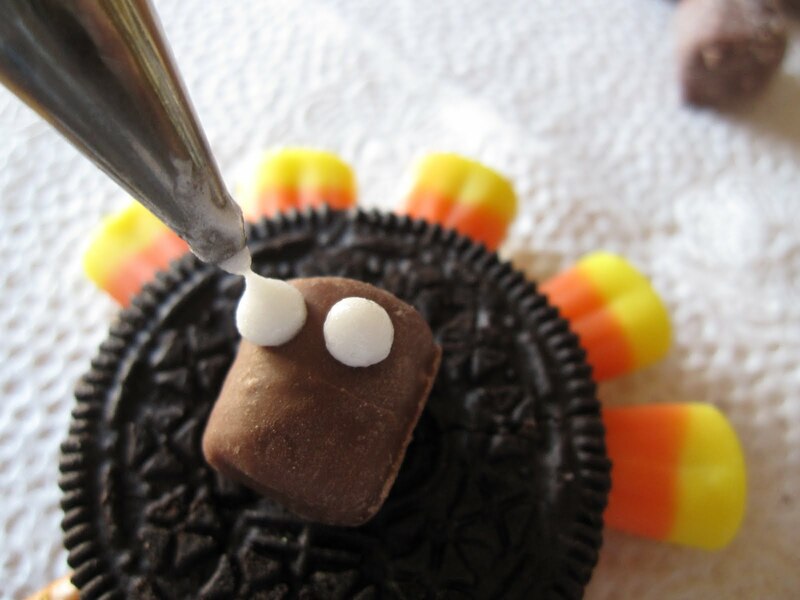 I'll be making them for a Thanksgiving treat for my nieces and nephews. Thanks for the great idea! Aaaaaah! So cute, and very creative too 🙂 I'll need to bookmark this for next year. Very very cute!! So creative! Loved it!! hihihi, this gobble gobble made me giggle giggle 😉 you have the cutest ideas!! 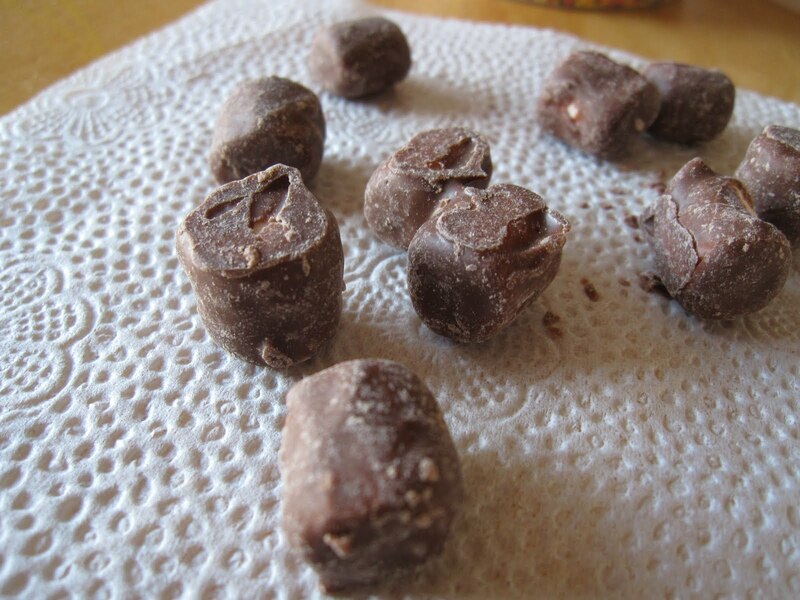 We featured this post on our edible turkey treat roundup! 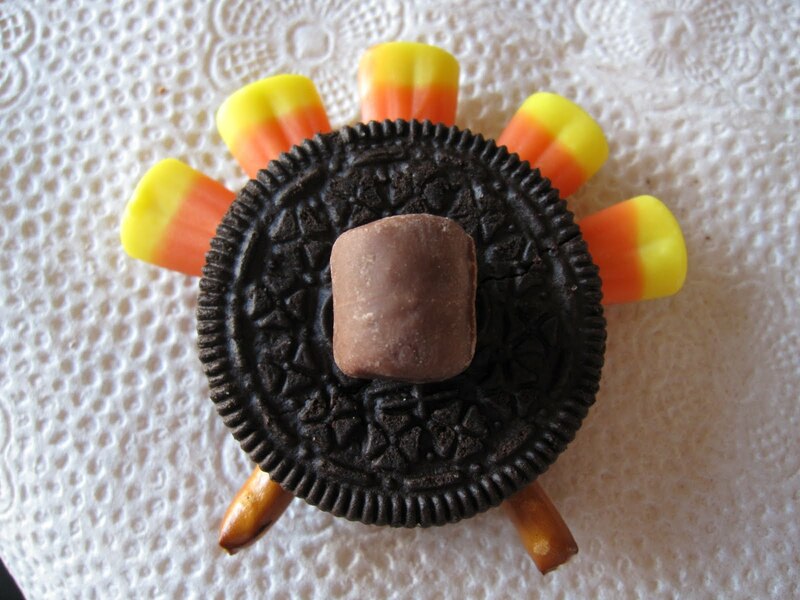 Shelly,Just to let you know that I mentioned you on my blog today and linked to your oreo turkey:) Thanks for the fun idea! You're the best! Soooooooooo darling, thank you! I mentioned and used yours on my blog. So creative with the marshmallows! These are sooo flipping cute! I need a quick sweet treat for work on Wednesday (less than 2 days notice!!) I hope you don't mind. I will give credit where credit is due!! I shared these on my blog and made them with my kiddos. So cute! I am trying to grow my lil' blog — would love if you could check me out and spread the word. Happy Holidays! sooo cute and very creative.it shows that you are talented.. This is one of the most awesome things I’ve seen in a long time! 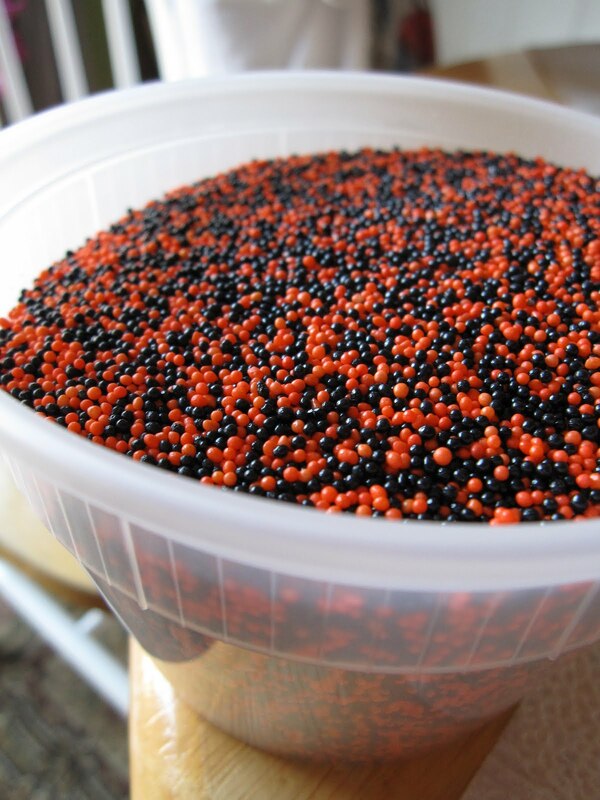 I am SO going to make these – and soon! I am going to try my hardest to make time to make these cookies and if I do, I will definitely blog about it and have a link to your site. Thank you for sharing. I made these for my son’s kindergarten class Thanksgiving party. They were a HUGE hit!! Thanks so much!! Thank you for this fun idea for my kids to make for Thanksgiving. 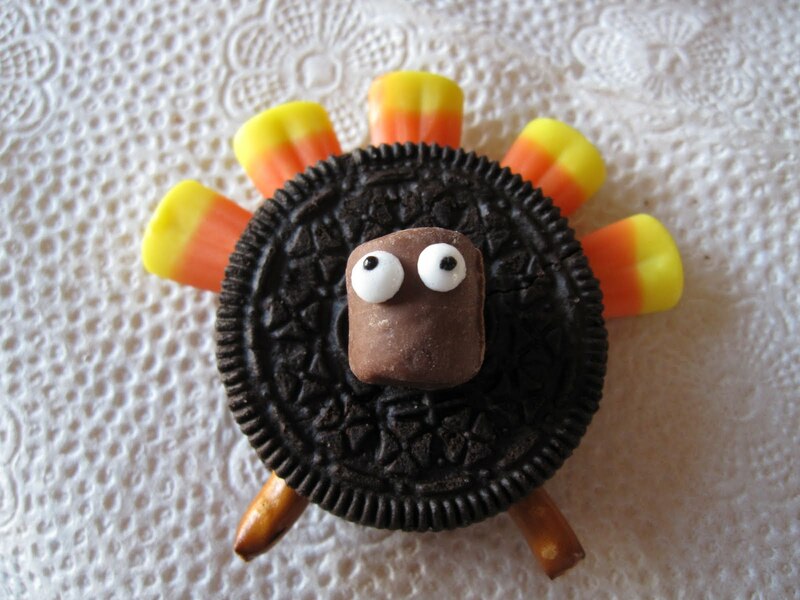 Since my daughter is home from school today we will be making these fun turkeys to take with us tomorrow, that is if we can stay out of the oreos! 🙂 Happy Thanksgiving! I will be using this cookie as a “star” in my son’s Thanksgiving lunch for school! Thanks so much! Hi, I love the image of the turkey. I hope you don’t mind if we use it for an avatar. Thanks!